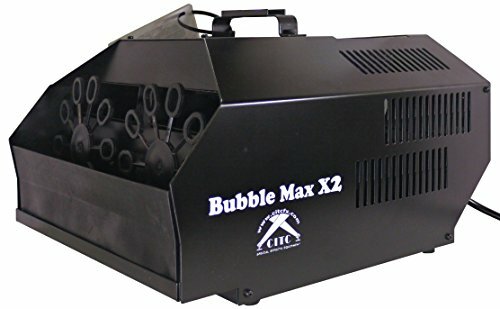 The Bubble Max X2 allows you to choose either low or high bubble production by having either one or two wands going. It is a revolutionary new product in the bubble machine industry. You can continuously produce bubbles for days, weeks or months without the labor of having to fill every few hours when you choose the Auto-fill version. Just connect to a 5 gallon cubitainer or a 55 gallon drum. The X2 is also available as a system, which includes a fan and stand. Be sure you ask for BubbleMax X2 Auto-Fill System for the easiest and cleanest way to make bubbles on the planet!